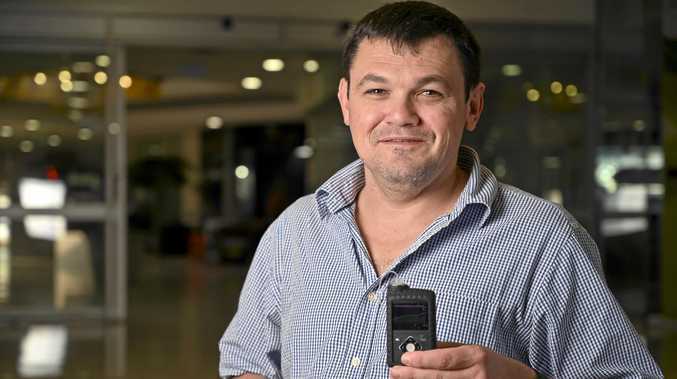 AN Ipswich man is the first in Queensland to trial new medical technology that will drastically improve the lives for those suffering with type 1 diabetes. The Closed Loop Hybrid Insulin Pump system, known as Medtronic MiniMed 670G, is the only technology of its type approved in Australia. It uses Continuous Glucose Monitoring and algorithm technology to monitor insulin needs by measuring glucose levels every five minutes - 288 a day - and automatically correcting it. That means type 1 diabetes sufferers will no longer have to inject insulin themselves, which can occur upwards of five times a day. The device has not started shipping commercially and the only other people to have tested the technology are Medtronic employees. Mr Marchisella will not only receive the device to manage his own condition but he is now one of two West Moreton Health staff who have been trained in the new technology to benefit locals just like him. He has only been fitted with the glucose sensor and insulin pump for a matter of days but he said the change was noticeable. "I'm finding it hard to not think about it," he smiled. "I have to stop trying to second guess what's going on and let it do its thing." West Moreton Health Endocrinologist Dr Thomas Dover said the service was the first in Queensland with access and training to support the technology. There are about 1200 people living with type 1 diabetes in the district. "We have had the ability to use pumps and sensors but they haven't really 'talked' to each other (before)," he said. "(In the past) it's required a lot of manual input from the patient. This takes a lot of the guess work out of it. "Unfortunately access to the pumps is still not subsidised., it will only be covered by private health cover. 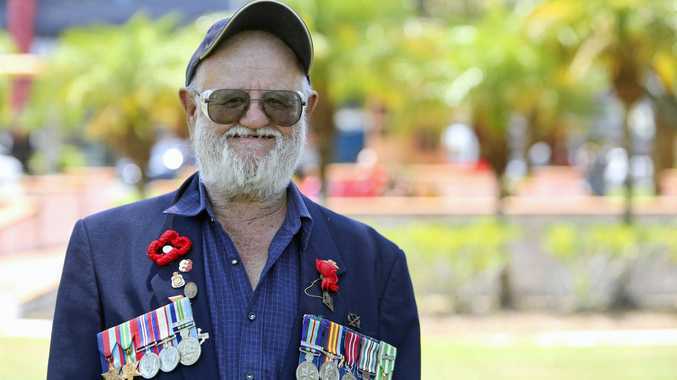 "This is a big step forward. The ultimate goal is to get an artificial pancreas, where the patients don't really have to do much." The pump is smaller than a mobile phone and the sensor is about the size of a 20-cent piece. SINCE Joe Marchisella was diagnosed with type 1 diabetes as a five-year-old, it has always been in the back of his mind. The West Moreton Health diabetes nurse educator has been fitted with the Closed Loop Hybrid Insulin Pump system, known as Medtronic MiniMed 670G, since the weekend. The technology intuitively self-adjusts to deliver precise amounts of insulin when he needs it, automatically keeping his blood glucose at a steady level. Type 1 diabetes is an auto-immune condition, which sees the immune system destroy the cells in the pancreas which produce insulin. Without insulin, the cells cannot turn glucose into energy. Mr Marchisella, 40, said it was common to be up most of the night fixing his blood glucose levels, or stressing about how what he was eating or drinking would affect him. With the new technology, those days are long gone. "(My) energy levels are more constant, I don't have fluctuations," he said. "The continuous glucose monitoring is predictive. It can predict what your blood sugar levels are going to do in the next half-an-hour to an hour. "You can take your mind effectively off diabetes for even a short amount of time. You don't have to worry about that now."